…She turned her face towards the fading light. Nala warned her about her skin getting darker but she had never ceased. She loved the feeling of the sun on her. It was the same sun that kissed her father’s head every morning when he went to work. It was the same sun that was beating down on hundreds of thousands of people trapped on a narrow strip of beach in the far north-east of the island….She looked north and saw the majestic palm trees at the top end of the beach, leaning ever closer to the earth. After thousands of years of being grazed by the wind, they were bending, in supplication to Surya, the Sun God; in defeat…. For Dhara, the choice had been very clear; while her family moved away to safer lands, she knew she could not leave the land of her parents; call it her karma or her resolve to fight her demons. The Sri Lanka she grew up in was not the one envisaged by many at the time of independence, but she chose to stay. Ironic that I sit here reviewing Shankari Chandran’s Song of the Sun God, as Sri Lanka celebrates its Independence Day. Sixty nine years ago, the British left Ceylon and the nation celebrated independence; freedom for the Ceylonese- ALL CEYLONESE! The promise was there, but shades of discontent had been apparent from the early 1900s. These blurred splotches became unfathomably heinous when post-independence divisions were made on the basis of majority, religion and language. And then there was the Civil War. Spanning eight decades, Shankari Chandran’s debut novel tells a poignant tale of a family torn apart when Sri Lanka bled. Written from the perspective of a Tamil family, it weaves a tale of loss, love, despondency and hope. As each page turns, it brings forth the uncertainty, the horror and the fear, which countless millions would have lived through. Not all is traumatising, as the narrative also exudes optimism based on the universal belief, “Do your duty and leave the rest with God.” Each character connects adeptly and it’s difficult to say who the protagonist is. Shankari’s skillful writing captures everyone’s essence and weaves it delicately into a saga that is both mesmerizing and heart-rending. The detailed descriptions and the exceptional writing make this novel a gratifying read. Shankari Chandran is definitely a writer to watch out for. A beautiful story that connects and tugs at the heart! 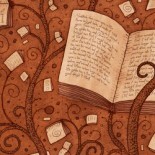 Was a pleasure reviewing your novel and look forward to reviewing your next too! or should I say that I just disembarked from an epic journey after witnessing the trials and tribulations of three generations in three continents spanning over several decades. How effortlessly Shankari has interwoven all aspects of their lives including politics, religion, culture and personal relationships! Nothing remains elusive to the author either when describing the backdrop or depicting the characters very well along the story-line. The well researched facts in this novel and the conversations of the characters, along with the vivid descriptions of nature and the political background made me feel as if the story was happening right now. I felt like I was witnessing it in action. Her writing enabled me to penetrate the characters’ complicated and authentic thought world as well. The novel is very awe inspiring with regard to the flow of language and style, and the way the author allows the reader to peep into the past moments of the characters’ lives. The difficulties during civil disturbances and the challenges faced by the individuals have been portrayed well and are thought-provoking, particularly as to how and when certain decisions could have been taken to influence the outcome. I read this novel after having been almost exclusively engrossed in books on spirituality for many years but I enjoyed every moment with the Song of the Sun God, so much so that I found it difficult to put the book down and was totally submerged in this compelling story. I am now looking forward to Shankari’s next novel. 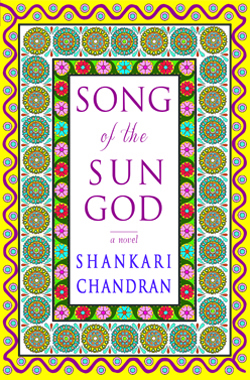 This entry was posted on February 4, 2017 by artikabakshi in Book Reviews, Contemporary, Fiction, Historical, Uncategorized and tagged Perera Hussein Publishing House, Shankari Chandran, Song of the Sun God, Sri Lanka, Sri Lankan Authors.